Some days my husband and I don’t know whether we’re coming or going, and most weekdays, one of us leaves at 7:30 a.m., and we don’t see each other again until 9 p.m. It’s crazy. But, the one thing we do every night is take some time together to unwind and watch a show. 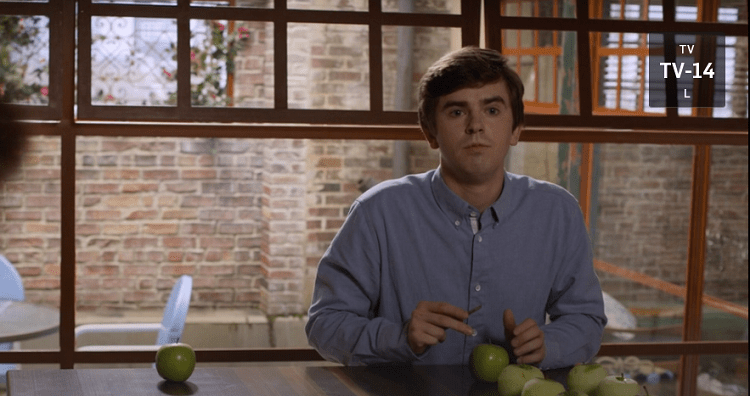 Lately, we’ve been watching The Good Doctor on Hulu. This show is about an autistic savant, Dr. Shaun Murphy, who begins his surgical residency at St. Bonaventure Hospital. As is to be expected, his residency doesn’t start smoothly; in fact, most administrators and doctors don’t want to hire him. After much debate, they hire him on a trial basis. They soon find that Dr. Murphy has a brilliant mind and sees in pictures; he can often see things and find solutions to medical issues better than much more experienced surgeons. Dr. Murphy’s difficulties stem from his social communication, lack of eye contact, and brutal honesty. Dr. Murphy is blunt with patients, excitedly telling them the worse case scenario and causing the patients panic. He doesn’t mean harm; he just believes in being honest and direct, as many people on the autism spectrum do. One of our children stims frequently, and Dr. Shaun Murphy does, too. When Dr. Murphy is nervous or agitated, he fluffs his hair, something his brother used to do to him. He also covers his ears when things are too loud or chaotic for him. In season 2, one of Dr. Murphy’s close friends develops a life threatening illness. Clearly, this friend needs time to focus on himself and his issue, but Dr. Murphy can’t let him. Because Dr. Murphy is stressed, his behaviors are magnified, causing stress to his close family friend. I can so relate to this because when I had foot surgery a few years ago, one of my children got stressed because the child was worried about me and our routine had changed. I just wanted to relax and heal, but instead, I had to try to help my child. Autism never stops, even when others need to focus inward and not on the person with autism. 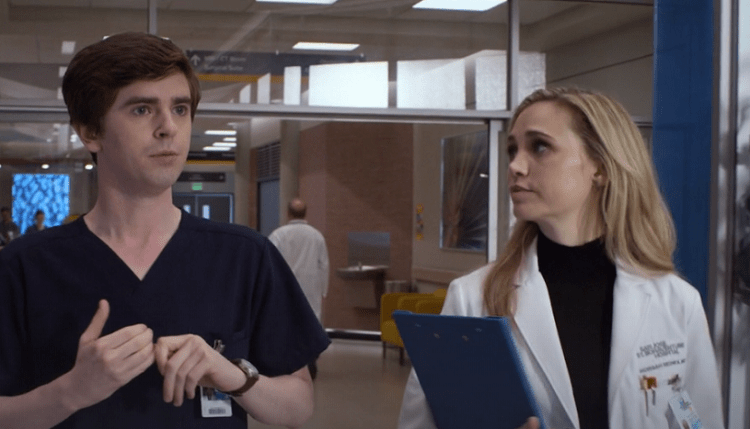 Besides the many characteristics we see in Dr. Shaun Murphy that we recognize in our own children, The Good Doctor is just a good medical drama, and I love watching the backstories of all of the characters unfold. Have you watched The Good Doctor? If so, what do you think of it? I’m participating in Blogging through the Alphabet. You can find more blogging through the alphabet posts at DoodleMom’s Homeschool. My husband and I love to watch The Good Doctor. It’s one of our favorite shows. I’m a fan of Freddie Highmore. I have only seen one episode. (Keith Allan from Z Nation had a guest spot) I thought it was pretty good – just don’t have time to watch any TV shows. I have never heard of the show before, thanks for the recommendation.